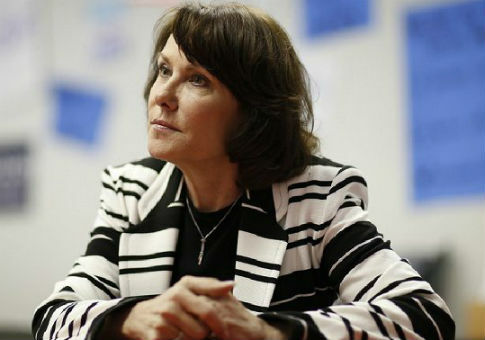 Rep. Jacky Rosen, the Democrat vying to unseat Republican senator Dean Heller in Nevada, has profited from investments in petroleum and natural gas, despite heralding "renewable energy" as a cornerstone of her campaign. Since jumping into the race, Rosen has sought to paint Heller as out of Nevada's political mainstream in hopes of flipping a seat political observers acknowledge is a must-win for Democrats to capture the Senate majority. During the interview, Rosen lambasted the cuts as being too skewed in favor of corporations and "big oil." "I support middle-class tax cuts, but what we have to do is put this bill into balance, and so it’s a little bit out of balance with corporate tax cuts [for] big oil [and] large corporations," Rosen said. In December, the congresswoman voted against the final tax reform package, asserting it was "designed" to benefit "wealthy donors " and special interests at the expense of everyday citizens who only get "crumbs." Rosen did not abstain from using the new tax structure to benefit her financial bottom line, according to personal financial disclosures filed with the Clerk of the U.S. House of Representatives. In 2016, prior to tax reform's passage, Rosen owned between $15,000-50,000 in Valero Energy, a multinational petroleum producer. After tax reform was enacted in 2017, Rosen substantially scaled her holdings in Valero to between $50,000-100,000. The increased investment occurred even as Rosen was barnstorming the state accusing Heller of voting to lessen environmental regulations, failing to adequately protect public land, and allowing his GOP colleagues to turn Nevada into the "nation’s nuclear waste dump." Rosen's line of attack was evident when accepting the endorsement of the League of Conservation Voters Action Fund, a left-wing environmental advocacy group, in August 2017. Shortly after thanking the group for their backing, Rosen launched into an attack on Heller, claiming Nevada deserved a senator willing to "stand up" for the environment. "Senator Heller has been voting in Washington to block the Clean Power Plan, overturn common sense protections that reduce pollution, and keep billions of dollars in wasteful tax breaks for Big Oil," Rosen said. "Our state deserves a new senator who will stand up for clean air and water, public access to public lands, and meaningful climate action." During the same interview in which Rosen made her remarks about taxes, the candidate declared, "I'm looking forward to holding Senator Heller to his policies and his convictions. What's been happening, this term especially is that Dean Heller says one thing, then he does another when he goes to Washington." Rosen's financial disclosures, however, show she's guilty of the very allegation her campaign has been eager to level at Heller: saying one thing, then doing another. The congresswoman holds between $15,000-50,000 in stock in American Electric Power, one of the nation's largest utility companies. The company, which serves nearly 5.4 million customers in 11 states and had a total revenue of $15.4 billion in 2017, has long topped the list of the nation's largest greenhouse gas and toxic air polluters, according to the left-leaning Political Economy Research Institute at the University of Massachusetts Amherst. The company chose to settle the lawsuit with the federal government in 2007, for what at the time was the single largest environmental settlement in history. As part of the settlement, AEP agreed to spend more than $4.6 billion in order to curtail their emissions output, pay a $15 million civil penalty, and spend upwards of $60 million on cleanup efforts to "mitigate the impact of past emissions." AEP was not the only instance where the congresswoman's financial interests seemed to outweigh her environmental sentiments. Rosen's ties to Apache and SCANA are ironic, considering she's devoted the entirety of her term in Congress to blocking the Trump administration from moving forward with a proposal to construct a nuclear waste repository within Yucca Mountain, a peak near the Nevada and California border. In May, Rosen's campaign denounced the senator in a statement for not doing enough to prevent the House, a chamber Heller hasn't served in since 2011, from passing legislation restarting the project. "Heller couldn't even stop his close friend of more than a decade, House Majority Leader Kevin McCarthy, from bringing the Yucca Mountain bill to the floor for today's vote," Rosen's campaign said. "Heller has voted for a GOP budget that funded efforts to revive Yucca Mountain, and he voted to confirm President Trump’s pro-Yucca budget director last year." Update: This article was updated to reflect Rosen's holdings in the SCANA Corporation and to accurately reflect the spelling of her first name. This entry was posted in Politics and tagged 2018 Election, Dean Heller, Democratic Party, Energy, House of Representatives, Jacky Rosen, Nevada, Oil, Senate, Senate Democrats. Bookmark the permalink.